Compiled HTML Help (CHM) file reader and converter. Is there a better alternative to Read CHM+? Is Read CHM+ really the best app in File Management category? Will Read CHM+ work good on macOS 10.13.4? 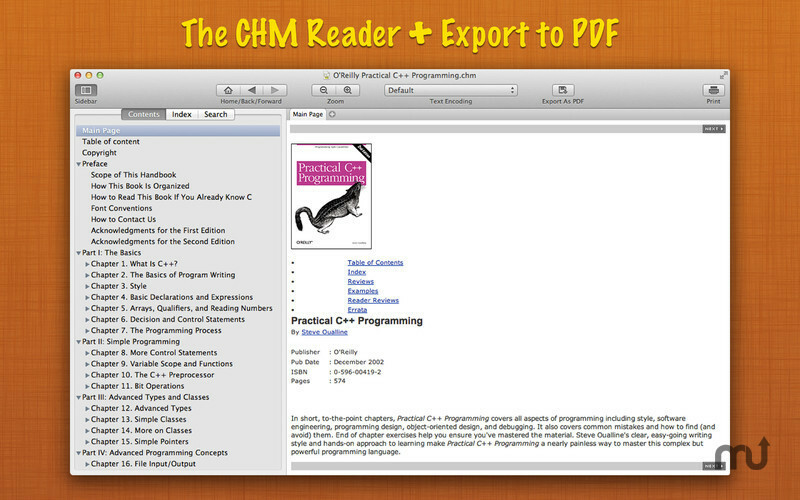 Read CHM+ is the ultimate CHM (Compiled HTML Help) file reader which can also exports CHM files into professional-quality PDF files. Simple and intuitive tab view reading. Sidebar to show CHM file contents, index and search results. Search in file or index. Even support to find in current viewing page. Maintains reading history: go Home, Back, and Forward in topics. Add and manage bookmarks for future reading. Note: The version level of the demo available for download is 1.5. The version available for purchase from the Mac App Store is currently 1.6. Read CHM+ needs a review. Be the first to review this app and get the discussion started! Read CHM+ needs a rating. Be the first to rate this app and get the discussion started! Grouped by files or by tags, with recent bookmark list for easy and fast access. Full-screen support for OS X 10.7 and later. Convert CHM (Compiled HTML Help) files into professional-quality PDF file. 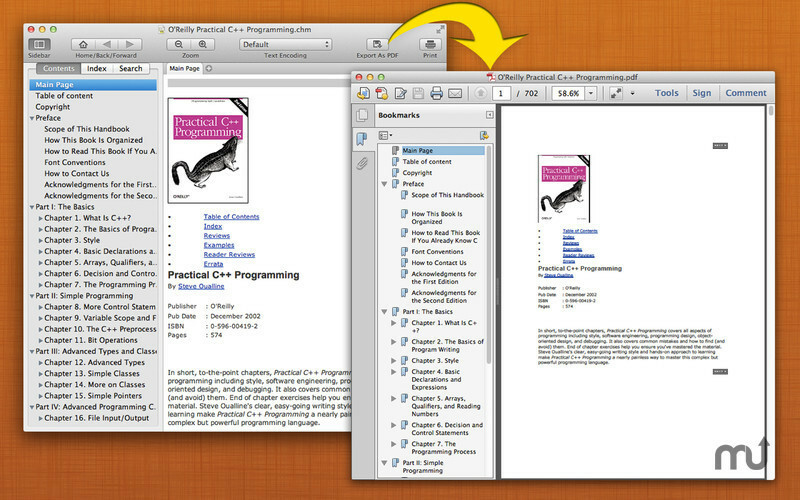 Converts CHM file table of contents into PDF bookmarks (outline). Preserves CHM internal- and external-topic hyperlinks in the PDF. It automatically maintains CHM topic- and page-navigation links in PDF-compatible annotations. Page setup to customize output PDF page size, margin, and orientation.